The Högsbyns Fritidscenter is beautifully situated in a bay in the lake Råvarpen. 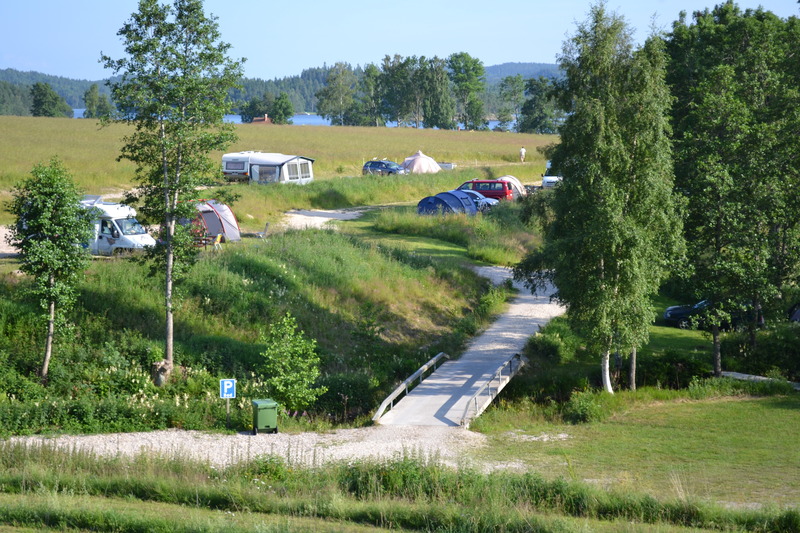 The campsite is located in terraces down to the lake, which is part of the Dalsland Canal. It is a small peaceful family campsite with beautiful views and shallow beach. We have a service house with TV room and fully equipped kitchen where everything is available to borrow. Clean toilets and showers. 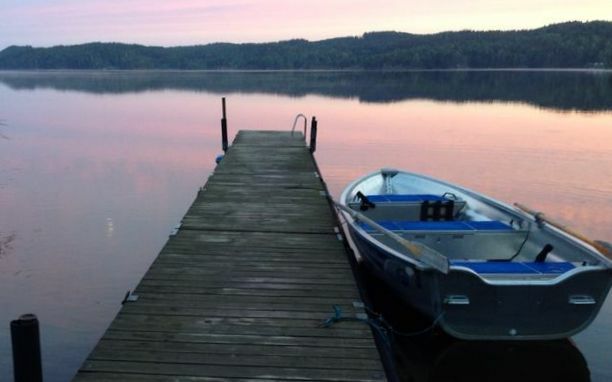 Staying with us it is close to everything interesting that Dalsland has to offer. Well-known aqueduct in Håverud (10 km), rock carvings in Högsbyn (900 m), Åmåls racetrack (32 km), Baldersnäs mansion (12 km) mm. The camping lies at the end of the mythical “Brudsfjället”, which is one of our most enjoyable roads in Sweden, not only for motorcycles. The nearest larger town is Dals Långed (5 km) with shopping, art galleries, a library, post office, hairdresser / massage, restaurant etc. We have motorboats, rowboats and canoes to hire. Råvarpen is a big beautiful lake, with some small islands and fine bathing beaches to discover. One can also see the canal boats that pass on the Dalsland Canal. Life jackets are included. See price list for more infomation.